RPV have been pressure testing valves for many years. In order to meet customer demand, in January 2012 the testing facility was expanded and consolidated in a bespoke building. This has enabled greater control over orders offering a quick turnaround, fulfilling customer delivery requests. 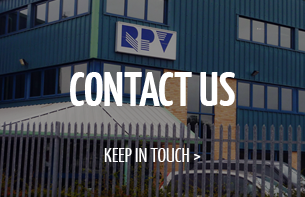 All testing carried out by RPV is supplied with a comprehensive pressure test report detailing the valve tested and all the tests carried out. Reports are signed and if witnessed counter signed by a third party inspector. Hydrostatic testing of valves from ¼” to 48” class 150 to 2500 in accordance to API 598, BS EN 12266, API 6D and customer’s specific testing requirements including 24 hour testing using pressure chart recorders. 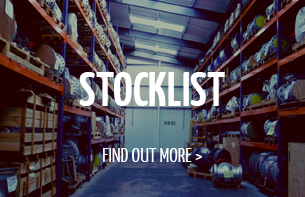 Comprehensive range of blind flanges, bolting, impacts sockets and hydraulic torque equipment to enable larger valves to be flanged up and tested. Using bespoke control panel designed and built to RPV specification to carry out high pressure gas testing of valves using nitrogen, helium or a mixture up to 10,000 psi. Seat leakage measured via calibrated set of flow meters for helium or nitrogen. 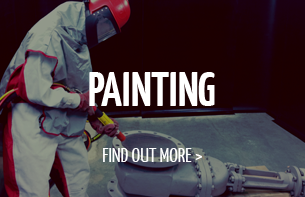 All high pressure gas testing is carried out in a bespoke built blasting area. From an adjacent room via high definition cameras at strategic points the tester can safely observe and control the test. Emission testing carried out using mass spectrometer Oerlikon XL300 on gland packing and gasket areas, measuring to strict leakage rates in accordance to Shell 77/312, ISO 15848-1 and in accordance to customer’s requirements. Hydrostatic test equipment houses a full set of calibrated gauges. RPV welcomes witness testing of any of the above tests. Alternatively, RPV offers witnessing over the internet via mobile high definition cameras. The cameras can be positioned to show the valve and the gauge during testing together with live communication with the tester. Upon request testing can be carried out and recorded via hard drive and sent via internet drop box for viewing at customer’s convenience.